A coalition of more than 100 area social service agencies, behavioral health centers, institutions and more joined forces to address the societal ramifications of trauma and toxic stress. But, as is typically the case when large groups join forces, the collective felt messy. Lots of people meant there were lots of opinions – about how to grow and govern. Lots of stakeholders meant there was a lot at stake, including organizations needing to meet their individual goals. And, lots of commitment meant high emotions ran high. It’s a good problem for a community to have – lots of passionate people committed to helping people heal. But passion doesn’t always solve the problem. That’s where TeamTech came in. The Kansas City group, operating at the time under the name Trauma Matters KC, requested TeamTech’s help to design and navigate a process for consensus. They needed someone who could act quickly as well, since the group’s grant was ending. There was significant tension around the question of which umbrella group could best build upon previous successes – and lead future work. Time was critical in this initiative. Not only did the groups need to find a solution, they needed to do so quickly in order to maintain the excitement of the volunteer workforce and leverage its commitment. “TeamTech was so efficient. They were quickly able to see clarity and move us through the problem to a solution,” said Brinkman. Meanwhile, across the state of Missouri, the same issues faced a similar group. Alive and Well St. Louis, also dedicated to understanding the role and impact trauma plays in a community, was losing its sponsoring organization. So first, TeamTech, led by CEO Kathleen Harnish McKune, helped the Kansas City groups unite under a common mission, and then TeamTech helped that group unite with the St. Louis group. 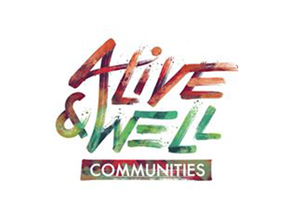 By forming one overarching non-profit, the new group, called Alive and Well Communities, is able to leverage economies of scale, best practices – and a whole host of resources. “I cannot tell you how impressed we were that she could move us through the process that quickly – without losing people along the way. She never compromised input for speed,” said Brinkman. Today, the organization is up and running, sharing a common vision, and working hard to make Missouri a healthier state.